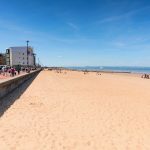 Straven is situated in a lovely suburb of Edinburgh which boasts a beautiful beach and range of independent cafes, bars, restaurants and shops. There is a rich heritage to the area and the name Portobello, meaning ‘beautiful port’, is justly given. The promenade was created in 1876 and you can enjoy an easy stroll and the views day or evening. 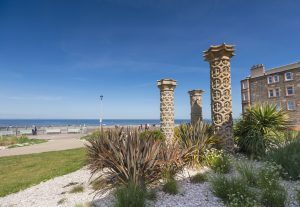 There are many buildings of interest and there is a heritage trail detailing the ceramics history and places of interest such as the Coades stone pillars in the Community Garden at the promenade. Check out our suggestions and the local beach website too. 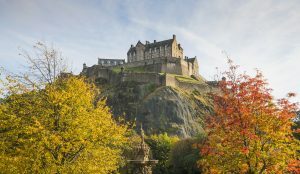 We are an easy bus ride in to the city centre of Edinburgh where there are endless entertainments, from live music, comedy, theatre and dance. 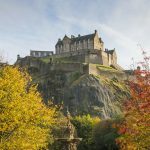 A fantastic range of restaurants with cuisines from around the world and more bars than you could wish for from traditional Scottish pubs to elegant wine and cocktail bars. Really there are endless options in the heart of the city to see art galleries, museums, historic buildings, entertainments. Check out our links and Edinburgh ideas pages for a fraction of the options! 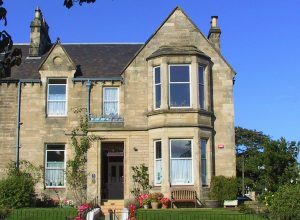 With all that going on don’t forget the beautiful setting of Scotland and the easily accessible attractions from Straven you can do outside the city. You can hop on and off Lothian buses to Rossyln Chapel or take the train from the top of our road to the Scottish Borders and walk along the river to historic town of Melrose and its ruined Abbey. 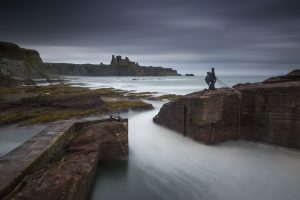 Or why not check out the coast line with the rugged Beach at SeaCliff and the dramatic ruins of Tantallon Castle? You can get the perfect view of the Bridges across the river at South Queensferry or visit the Kelpies near Falkirk. There are plenty of tour operators who can whisk you away for a day to see the Highlands, or the East coast fishing villages or Loch Lomond. Check out a few suggestions. Exhaustion from trying to squeeze it all in can be cured by a relaxing walk along the beach and hearty morning breakfast at Straven!